An American family, an American story. James was the eldest son of John and Margaret, born in St. Augustine in 1855. He learned the carpentry trade from his father. This skill led him to work with the Pennsylvania Railroad, where he worked as a gang foreman. 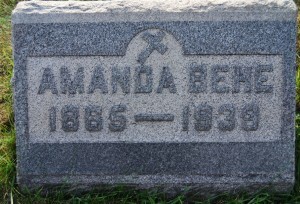 He married Amanda Delozier in 1886. There were seven children. The family lived on 21st Avenue in Altoona, and were members of Cathedral Parish. James served on the Altoona City Council and was active in civic affairs. James and Amanda are buried in Calvary Cemetery in Altoona. 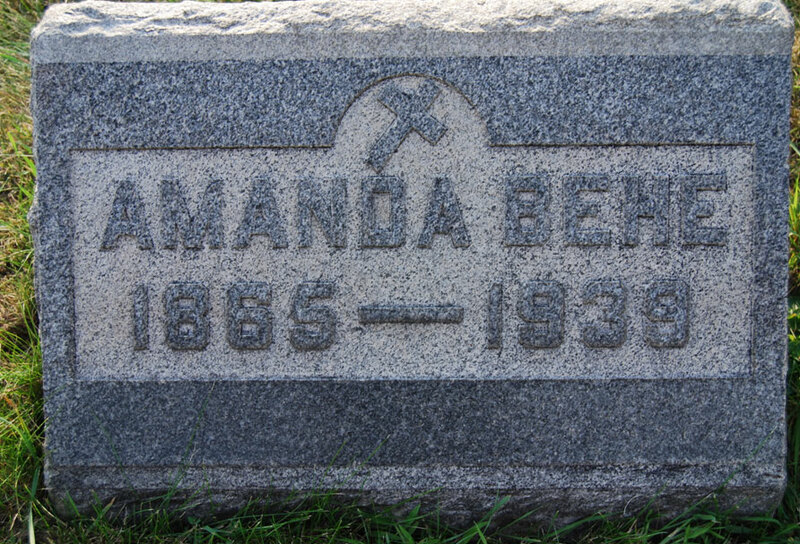 Bertha Behe was the first born; she married Harry Briggs, who worked for the Pennsylvania Railroad. Edward John Behe was the second child and first son. 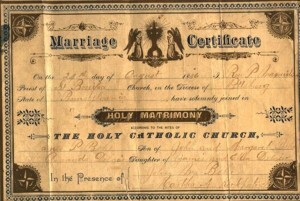 He married Matilda Plunkett. Edward was reputed to have been an outstanding baseball prospect, and went on to work for the Pennsylvania Railroad. 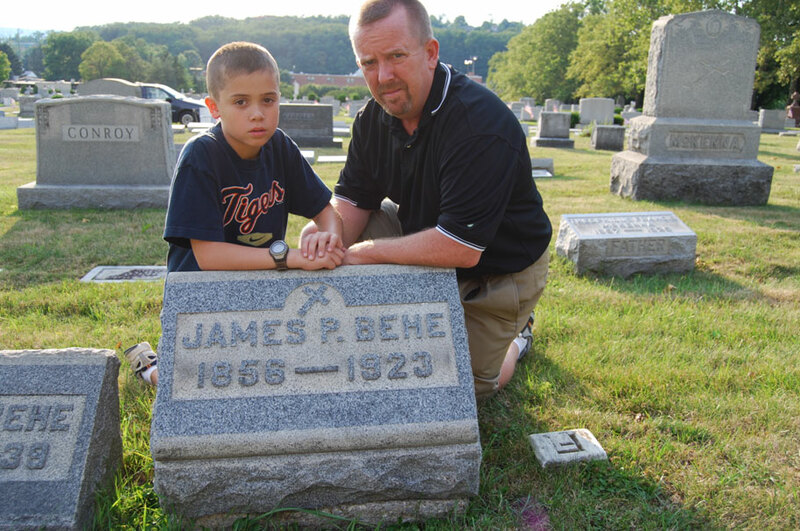 Jesse James Behe, the third child, was born in 1893, and was a WWI Navy veteran. He married Marie Kelley, and the family had six children; Louise, Tom, JoAnne, Joe, Jesse Jr., and Bob. Ellen Margaret Behe was born in 1898, and married Leo Hoefler. the yard on 21st Ave. There was a son, Vincent, who died very young, at about one year of age, of diphtheria. 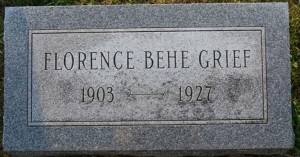 The sixth child was a daughter, Florence, born in 1903. She died in early adulthood in 1927. 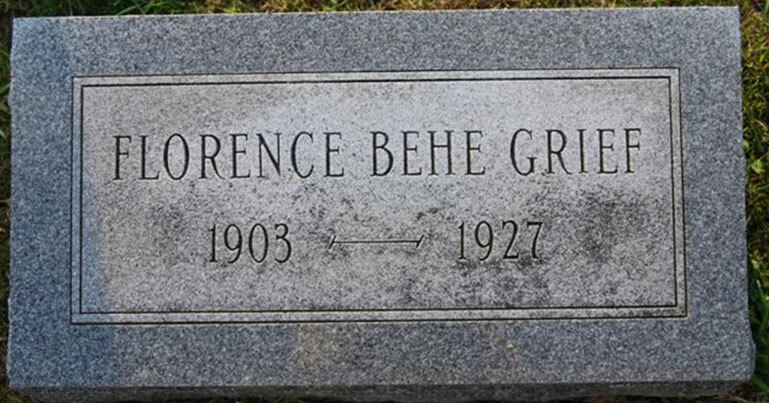 She was married to John Grief, and is buried near her parents in Calvary Cemetery in Altoona. The last child was Paul Francis Behe, born in 1908. He passed away in 1979. 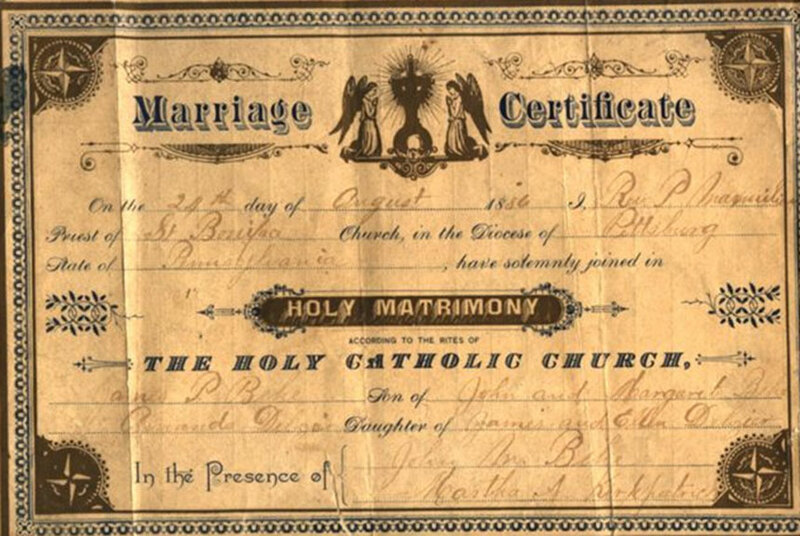 Paul married Mary Katherine Burns. © 2019 James Behe | Website and hosting provided by Forbesoft, Inc.